Have you ever had that gnawing feeling where you want to make something you only vaguely remember eating in the past? I often have that feeling about foods from my childhood. I can almost always remember everything about the surrounding events but have no idea how to go about recreating a recipe for a food that until that moment resides only in the recesses of my mind. Take this cumin shortbread cookie (unceremoniously dubbed, a zeera biscuit in my native Karachi). A perfectly buttery, crumbly shortbread cookie, flecked with toasted cumin and designed to be eaten with a mug of steaming chai. That cumin shortbread cookie was a constant presence for eight-year-old me. It made appearances in my pink elephant lunchbox, at my mother's fancy ladies-who-lunch teas, and almost always on walks home from the bakery with my dad. I remember the hustle and bustle inside that bakery like it was yesterday. The ridiculously warm summer day, my proper white knee socks capped with lace, the hum of the fan that simply circulated stuffy, warm air, and the kindly smile of the elderly baker who always handed me a cookie before filling our box to take home. Gosh, I loved that cookie but I had no idea how to make it. This sudden obsession with recreating the cumin shortbread cookie came as no surprise as my love affair with all things cookies is fairly well documented on this blog. From classic Chocolate Mint (perfect for the holidays with green minty chips!) to my Mumma's timeless Brown Butter Pistachio, I've never met a cookie I didn't like. And that's precisely why I love our annual cookie swap with a group of local food blogger friends. 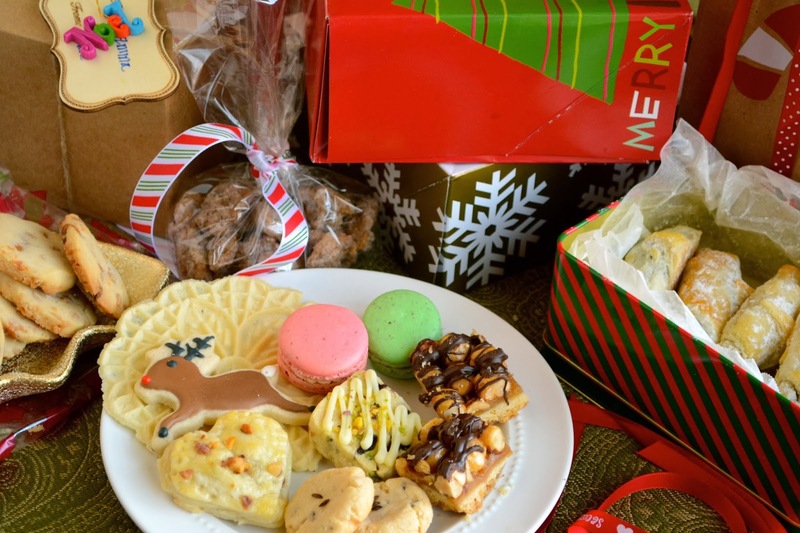 It's the perfect opportunity to get together with friends for a relaxed afternoon of food, chatter, and of course, delicious cookies. So, it made perfect sense to share my favorite childhood cookie with my friends (Lisa from Authentic Suburban Gourmet, Liren from Kitchen Confidante, Gina from SPCookieQueen, Patty from Patty's Food, Jean from Lemons and Anchovies, and Lisa from Ravishing Hunger). Except well, I still had the problem of having no idea how to make them. So, after a somewhat unhelpful phone conversation with my mother where she told me to simply find a bakery that made the cookies and some frantic Googling on a Friday evening after the end of a very busy week at work, I announced to the Hubster that he and I were finally ready to recreate that elusive cumin shortbread cookie. Like most of my grandiose proclamations, this one also came at 10 p.m. after we'd finally convinced Little Man that bedtime was a necessary part of life and after we'd tackled the mountain of dishes ever present in our kitchen sink. Needless to say, the Hubster wasn't excited about the challenge and may or may not have tried to escape to bed. But we forged on for science (and cookies)! Somewhere around midnight, we happened upon this perfect specimen of a cumin shortbread cookie. Those of you who grew in the motherland and frequented the same hot, sticky bakeries of my childhood may note that these cookies, with their adorable crinkled edges, are a lot more buttery than the smooth-edged ones of our childhood. They're also a tad bit sweeter. I happen to like these adaptations because sadly, I no longer have regular access to a perfectly sweetened cup of chai to dunk my cookies in to. If you would never dream of eating your cookies (or biscuits) without chai, then feel free to cut back a bit on the sugar. Oh, and don't forget to toast the cumin seeds before tossing them in. It's such a small task but it makes a huge difference in the finished cookie. And whether you choose to take them to a cookie swap with friends, share them with your family and colleagues for the holidays, or enjoy them with a steaming mug of chai in the solitude of your home in that precious one hour window when your little ones are napping, here's to wishing you and your loved ones a safe and happy holiday season filled with lots of perfect cookies and memories! Heat oven to 335 degrees F.
Put the cumin seeds in a dry frying pan on medium heat and toast, tossing, for two minutes, until fragrant and cool. Once cool, add to a mortar and pestle and crush a bit (you want to leave most of the seeds whole). Put 1 tablespoon of the seeds in a bowl with the butter, and cream together until light and fluffy. Work the flour and salt into the butter mix with a fork, then add just enough milk – a tablespoon or so – to bring it together into a dough. With your hands, form into a ball, wrap in plastic wrap and chill for 30 minutes. Remove from the fridge and portion dough into 1 tablespoon, rounded balls for mini cookies (such as the ones above), or 2 tablespoon balls for more regular sized cookies. Press cookie balls with the back of the measuring spoon until slightly flattened. Top with remaining, toasted cumin seeds and bake on a Silpat or parchment paper lined cookie sheet for 10-15 minutes until cookies are browned. Cool on a cooling rack. Yields about 40 mini cookies, 20 regular-sized ones. Adapted from Hugh Fearnley-Whittingstall's Lemon Cumin Cookies. What an apt name for the post. Loved and enjoyed reading the memories, aaah, how sweet are those memories with parents right?..love it. Btw, your cookie swap sounds amazing and all those cookies, enjoy my lovely girlfriend. Happy Holidays! I can only imagine how lovely these must taste. And your words have transported me. I can almost taste these spicy cookies. I loved reading your words and looking at these beautiful pictures. Food can bring back so many memories. Thank you for sharing this sweetness! I hope you have a blessed Christmas! I have only had cumin in savory dishes - never thought to put it in a cookie - this cookie is BRILLIANT! I have never had cumin in cookies! (or in any dessert to be exact) Love the idea! SO great to see you last weekend! 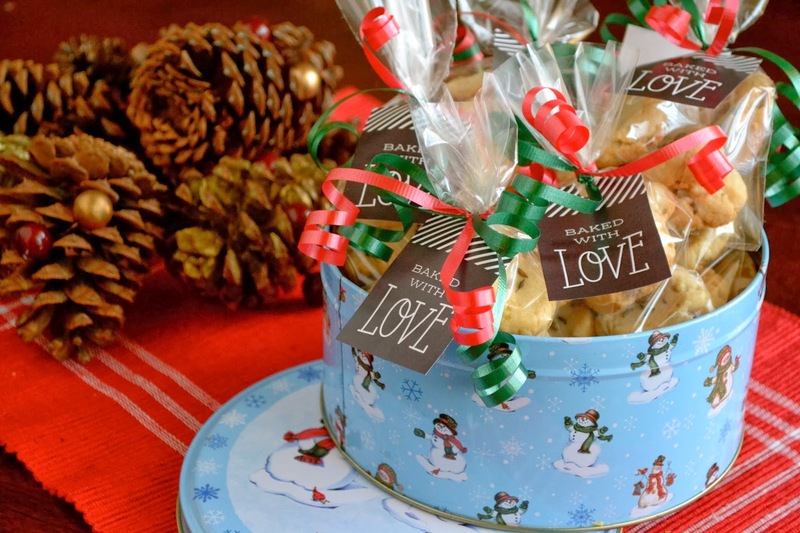 Hubby and I are actually still savoring your cookies and glad that you shared this wonderful recipe! Hope you and your family have a wonderful Holiday Season!!! Hi, your cookies sure look addictive. Very nice packing. Merry Christmas to you and all at home. Have a wonderful holiday. There's something about certain foods that connect us instantly to childhood, no matter how long ago those years were. For me, it's my dad's chicken cacciatore (I'm surprised it's not a dessert!). One of the best things about making these foods is that we can share them with the next generation, which I can't wait to do! These shortbread cookies look amazing. They're so simple, which I'll bet allows the cumin to shine. Afternoon chai break! Happy holidays to your and your family, Azmina! I think I am just sad that these cookies were not a part of MY childhood. But i can make them a part of my future now! Ahh zeera biscuits! i have to admit I love them more than nankhatai and like them on salty side versus sweet. I have to make this! p.s. I always complained about the fan in summers. All that noise and the humidity!!! I don't bake that much, but I have been baking some savory things lately and these would fit nicely in a selection of savory madeleines and gourges I think! I hope you had a wonderful holiday and a fabulous New Year! So glad you posted this recipe given the fact that I completely overlooked taking a goodie bag of your cookies at the blogger's luncheon. Can't wait to bake these up in my own kitchen! Have a Happy New Year, Azmina! Love that you were able to recreate these from your childhood memories. 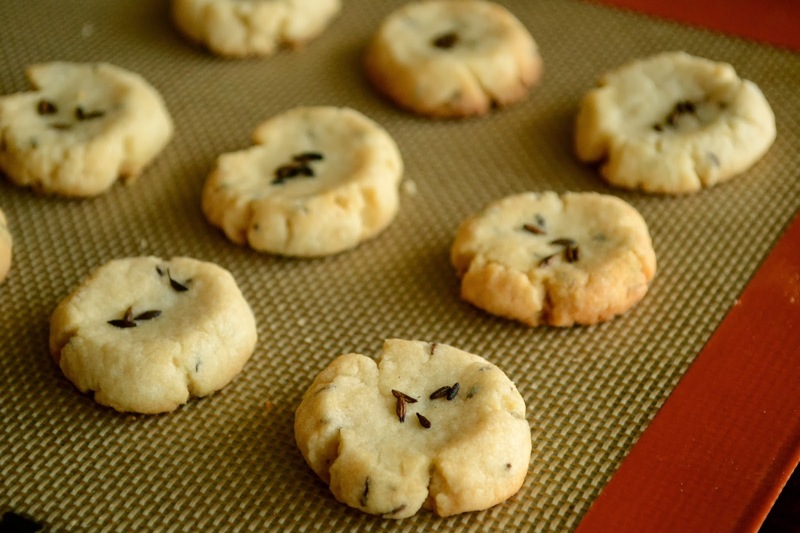 I love shortbread cookies and they sound amazing with the toasted cumin! your website on myy iphone during lunch break. I'm not even using WIFI, just 3G .. Anyhow, excellent blog! I was very happy to uncover this great site. fav to see new information on your blog. is sharing data, that's truly good, keep up writing. blood sugar. Yacon Syrup benefits also inhibits glucose and carbohydrates from converting into excess body fat by ending the production of citrate lyase. and as a tool to acquiring a good night nap. Patrick's Day Gluten-Free Meals 5 Non-Pinterest Websites for St.
watch out and don't get trapped in the personal loan cycle). school fees, medical bills and many more.